Wedding season is in full swing, and we are LOVING the trend of putting wedding monograms in lights! Let us introduce your new best friend… The Gobo. 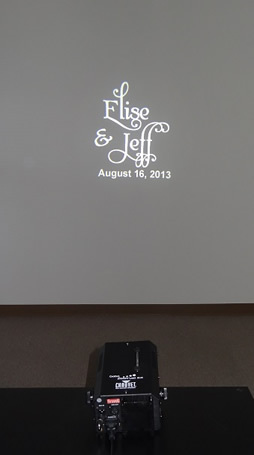 A gobo projector will put anything you want in lights – names, wedding date, special message, monogram, logo, artwork, etc. All you need to do is plug in your gobo projector and point it at a wall to see your personalized design in lights. This is a great way to add a unique and personal touch to your wedding or special event. How does it work? Choose a template design, submit your own artwork, or send in an inspiration photo. Our team will create a personalized design, and send you a proof to preview. The gobo package will then be delivered directly to your door. 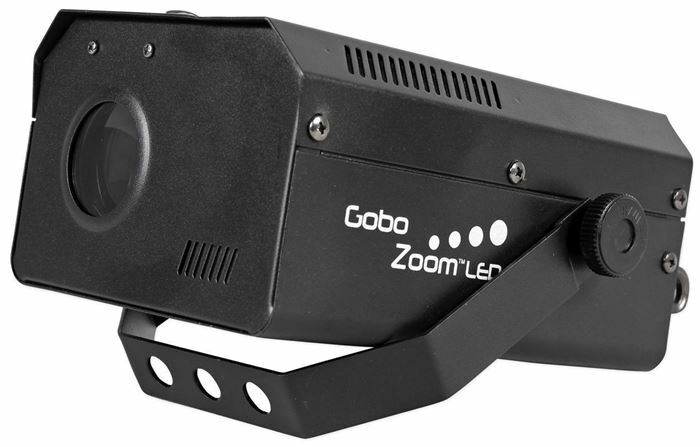 No experience is required to use a gobo projector – just plug it in! After the wedding, put the gobo back in the same box and drop off at FedEx. We provide free shipping both ways on our rentals, anywhere in the continental U.S.
Ready to get inspired? Check back here every week for MonogramMonday, where we will feature gobo tips, trends, and inspiration photos. Or click HERE to learn more about gobos.